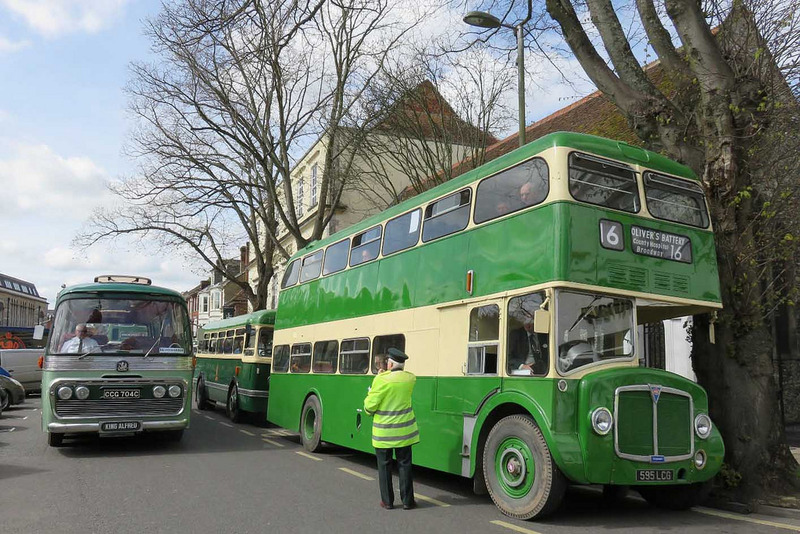 6th May 2019 - the largest King Alfred event of the year with all available King Alfred vehicles on the road and numerous visiting buses and coaches! 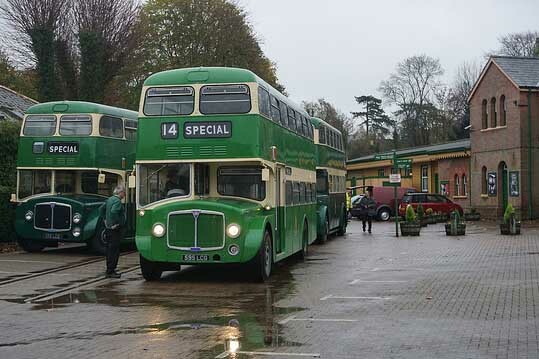 Founded in 1985, we are a Winchester based transport heritage charity whose volunteers aim to preserve the memory of R Chisnell & Sons, trading as King Alfred Motor Services. 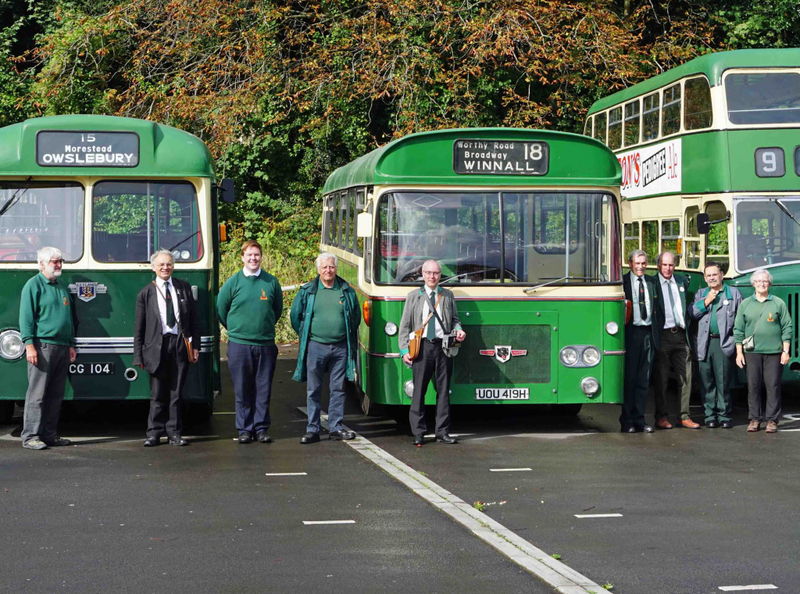 We meet regularly to celebrate our work and to enjoy the vehicles we preserve. 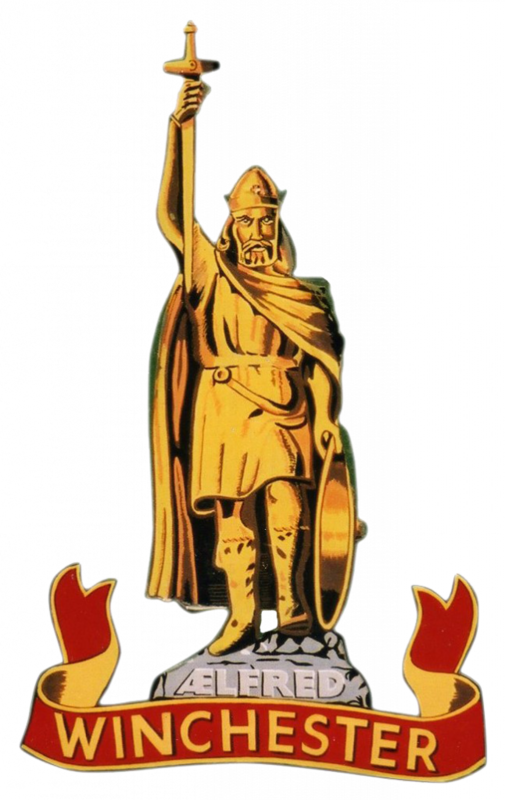 Our friendly group is always welcoming of new members and are always keen to share! 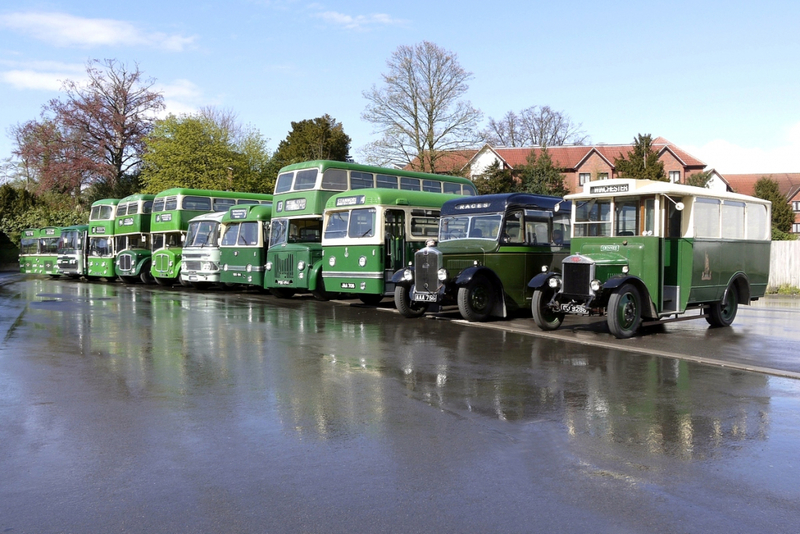 We preserve all known remaining vehicles which worked for King Alfred - some 14 to be precise! 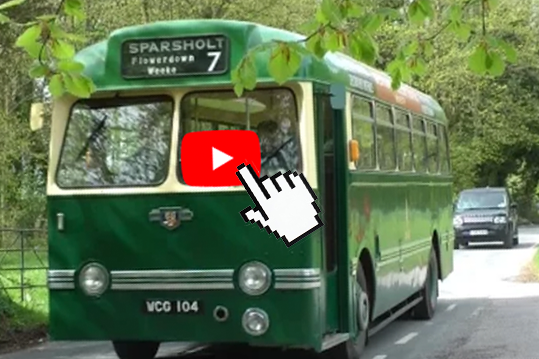 We show our vehicles and often give free rides at events across the South. 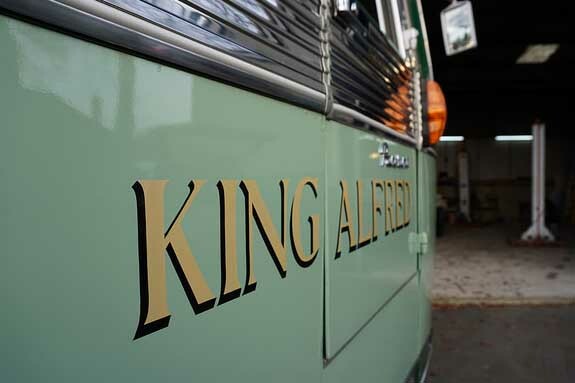 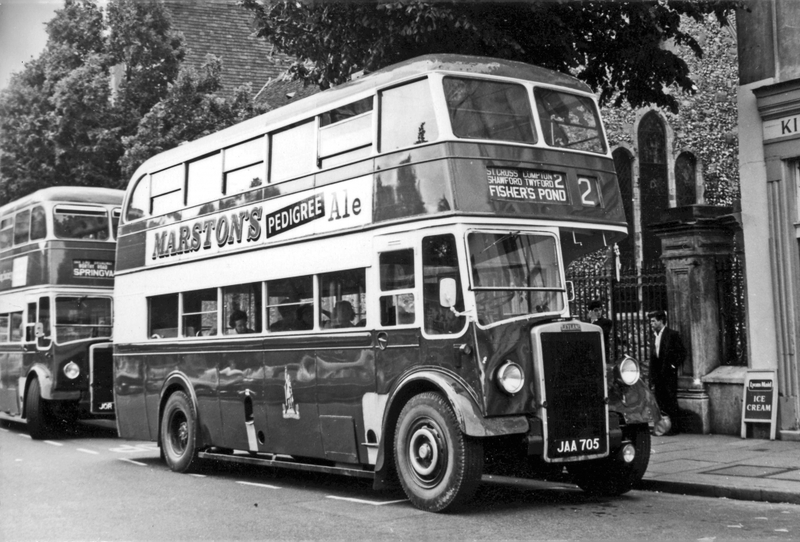 ® The "statue" device and "King Alfred" are registered trademarks of the "Friends of King Alfred Buses"
Together they form part of the charity logo and appear on our preserved vehicles.